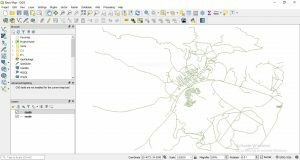 QGIS 3.2.1 works well for creating interactive maps, using good set of tools and symbology its become easy to implement. In the previous post we learn how to open and view vector data. So, today we are Creating a Basic Map – QGIS. 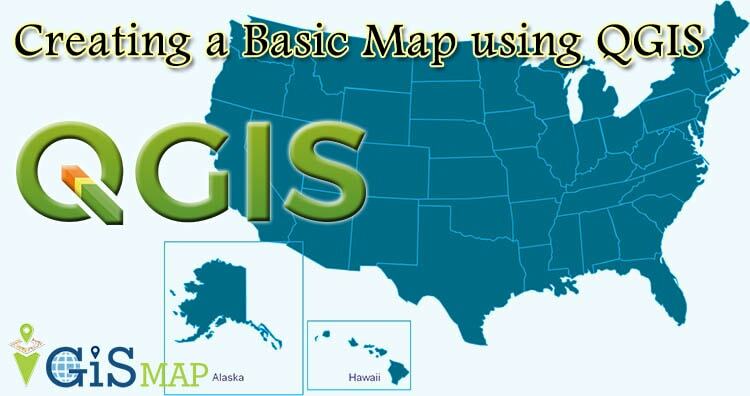 For creating basic map we work with the vector data. 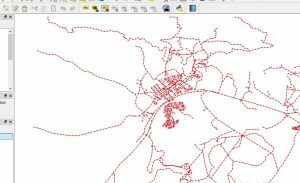 Vector data is very common data format it describes the information in points, lines and polygons. Open QGIS, we have a new blank map. Add vector layer by choosing the icon. If you are absolute beginners then question comes in your mind what is attributes. No worries when we are here, attributes is a data which store information about spatial data. 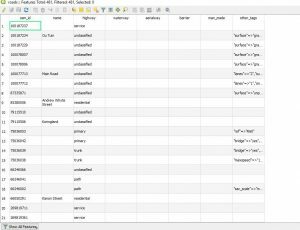 It gives where, what and why about spatial data in tabular form. So for roads, the layer we loaded in our basic map we will view its attributes. ->> Click on this icon for opening attribute table or you can use F6 or Go to Layer>> Open attribute table. ->> This attribute table provides more data about road layer, the lines that you see in the map are spatial data. These lines represents the roads. Current basic map is not so easy to read. We will make it more understandable and interactive using Symbology (use of symbol). 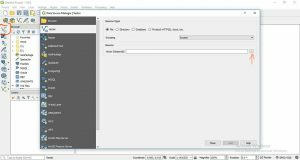 Click two times on layer>> Layer properties dialog box will appear. 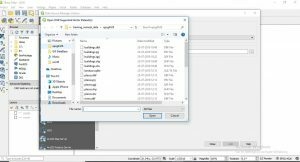 Select symbology OR right on the layer>> click the layer properties in the menu. Symbology window shown below. 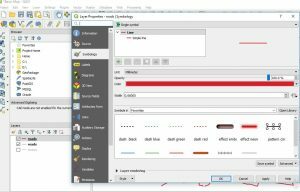 This all the creating a basic map – QGIS. Symbology is useful but the information contained in the layer is still hidden. In the next blog we will learn how to represent this data on map. Hope it will be useful for GIS professional. Suggestions and feedback are most welcomed.